Last year we announced some really positive and exciting changes which had been implemented over recent years at Achaval-Ferrer, news of impressive investment and an introduction to new personnel. 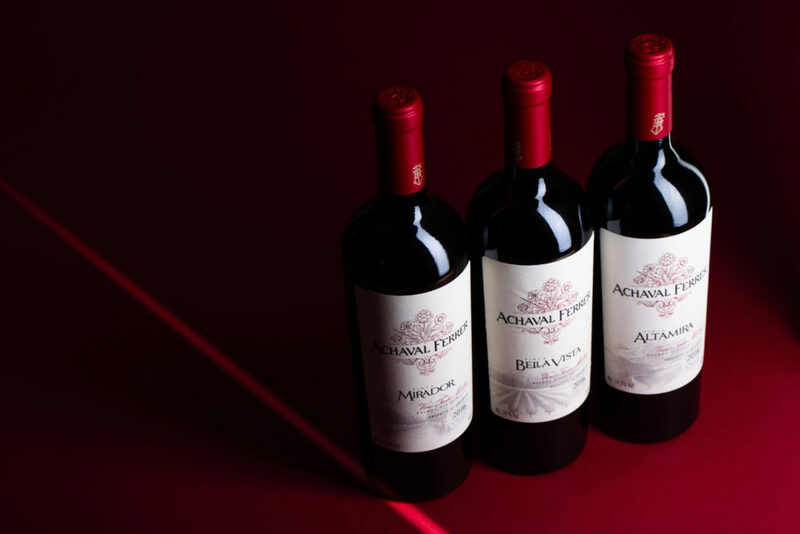 Achaval-Ferrer had originally been founded by a group of Argentinian and Italian friends from various walks of life, businessmen who loved wine, inspired by their friend the celebrated Italian oenologist Roberto Cipresso. Immediately enthralled by the potential here, in high altitude Mendoza, Roberto’s enthusiasm was infectious and his colleagues became similarly captivated. Their ambition was simple yet monumentally audacious, namely, to make a world-class wine in Argentina. Against all odds, these very obvious pioneers and innovators put the wines of Achaval-Ferrer on the map. From the outset the wines received many plaudits, ultimately capturing the interest of external investors. A deal was struck and now, with the security of extra funding, Achaval-Ferrer enjoys the luxury of a state of the art winery manned by a new young team which is just as passionate about the Achaval wines as the founders. The original protagonists gradually scaled down their time with the company as they moved on to new, personal projects, ensuring a watertight handover before their departure. It is wonderful to be working with people so steeped in the world of wine with a sense of place. The winemaker, Gustavo Rearte, has been at Achaval-Ferrer since 2013 so he had the good fortune to have both Roberto Cipresso and Santiago Achaval to guide him. In addition, he has had previous international experience in New Zealand and California. In overall charge we have Portuguese-born oenologist Manuel Louzada. He lives and operates a sister winery in Spain but spends a great deal of time in Argentina, particularly over the harvest period. He lived and worked in Argentina for ten years, as winemaker, running Chandon sparkling wine and Cheval des Andes, so knows the territory well. Independently, he was a private customer of the wines of Achaval-Ferrer from the very beginning. He has always used Finaca Altamira as a benchmark with which to judge other wines. The new sales director Julio Lasmartes is also from a winemaking family. The changes to Achaval-Ferrer of old may well be profound but the fundamental principles of the company are as important as before – stronger perhaps – reinforced by renewed confidence. The wines will continue to come from the same lowyielding, ancient, un-grafted vines – high altitude sites – overseen by viticulturalist Leopoldo Gomez, alongside Manuel Louzada. Goals are absolute quality, a very pure expression of Malbec, and vibrancy and freshness across all of the wines. Many people assume that vintage is of little importance in this generally hot, desert-like landscape but there can be major differences in the growing seasons and sometimes the challenges are overwhelming. There was no Finca Mirador in 2012 through hail, for example. Manuel Louzada took us through a vertical tasting last year, the better to make this point. The variations vintage to vintage were remarkable. We often quote production in terms of hectolitres per hectare – which really only allows some comparison with other producers. Here the story is eye-catching in its simplicity. It takes three vines to make just one bottle of the Finca wines. Ancient vines are naturally low yielding in any case but then the Achaval-Ferrer team exercise a vigorous and very specific green harvesting. We learned during Manuel’s presentation that they allow bunches of grapes to protect a central core crop, the outer bunches suffering sunburn and being dropped not long before harvest, This means that the one or two bunches remaining are concentrated and ripen earlier allowing for a harvest well before neighbouring vineyards and often a degree or so less alcohol. Also, a road less travelled, Achaval-Ferrer choose not to erect hail nets as they create shade. This is a rather costly but quality-driven decision. The Rio Mendoza is responsible for the area’s alluvial soils and permits flood irrigation. The team at Achaval-Ferrer use very precise furrows to channel snowmelt water rather than the general inundation practised elsewhere. The new winery incorporates the original 2006 structure and is sympathetic to the landscape. Fermentation is in epoxy-lined concrete tanks, the better to control temperature although unusually, and ambitiously, fermentation is warm, up to 32.5 degrees Celsius. This keeps alcohol levels in check, ethanol being dispersed along with evaporating water. Extraction, thankfully, is extremely gentle – there is no lack of body here. Introduced for the 2017 vintage are a new, more temperate de-stemming machine and an optical selector – a big investment with view to pushing quality even further. The team at Achaval-Ferrer prefer hands-off winemaking. They call it “lazy”… no added acidity, no cold soaks, no extended maceration, no fining, negligible filtering. The wine is then racked into oak barrels in April for the malolactic fermentation. French oak is used, mainly from the Boutes and Mercurey cooperages. Achaval-Ferrer now uses small 160 litre cigarro barrels for the Finca wines, which permit greater oxygenation. 2017 broke the trend of recent cool and wet years, returning to the more usual dry and sunny weather and consequently a very healthy crop. Assuming that summer was going to be hot and dry, the Achaval team had tailored their canopy management, leaving more leaves than in previous years, the better to protect the grapes from the sun. They also managed a very controlled irrigation programme, in recognition of the different soil types and their varied ability to retain water. Despite frost in Mirador and hail in Altamira, 2017 is a standout vintage. The winery states that 2016 was a harvest “full of challenges”, cooler and wetter than normal but, being the third vintage with unusual weather for Mendoza, much had been learned in 2014 and 2015 to inform how to act in 2016. Spring had been largely dry and warm, delaying budburst. This year the vineyards were spared both frost and a cruel wind known as the Zonda so flowering went well. In other years Zonda or late frost can wipe out an entire vineyard at this stage. Summer in Mendoza began with rain in early January and unstable weather lasted through to mid-February. High humidity in autumn, allied to cooler temperatures than usual, made for steady, gradual ripening- which is good – but required strenuous efforts in the vineyard to allay any disease. In autumn temperatures reverted to normal and the extensive canopy management helped in producing a fine harvest. View the full offer and available wines here.